MBuy is a longtime sponsor of Ad Age Small Agency Conference & Awards because we believe small agencies have big ideas and deserve acknowledgement and a platform to learn and grow. This year MBuy was provided the opportunity to deliver opening remarks for the event. Addressing current challenges in the space, Neha Misra, our VP Strategy & Analytics at MBuy delivered a well-received opening remarks discussion on how agencies can leverage convergence to transition from project to AOR status. Size doesn’t matter - More and more small agencies are winning accounts that were previously with large agencies, largely because of the one-on-one relationships they can bring to the business. What agency clients are ultimately looking for are great ideas, and great ideas can come from anywhere. So even if a shop is literally just a few people, they can still go after big brands as long as they put their best talent and ideas forward. After all, your odds of winning an account are always less if you never try. Don’t stay in your lane – It’s surprising that an industry that harps so much about disruption, frowns on internal disruptive thinking. Sure, well-defined roles and responsibilities prevent big agencies from messy internal divisions, but this doesn’t mean that a small creative shop cannot have an idea on media strategy and that their media agency partners can’t create strategies that inform creativity. In many cases, strategy should work in lockstep with creative because the medium is the message. Leverage humanity – As ad tech continues to evolve, humans are still making irrational purchase decisions, and creative shops should encourage this especially when competitive brands are seen as relatively equal. Resonating with a consumer on an emotional level will give a brand a competitive edge, even if the price and product offering are similar among competitors. Using this strategy, Camp & King won the Energizer business and were responsible for rebranding the Energizer Bunny. Team MBuy is excited to see where the conference will end up next year. In fact there was a “Pitch the City” segment where sponsors and attendees will get to throw out their ideas and rationale. Pitches included New Orleans, Charleston, Chicago, Austin, and many more. 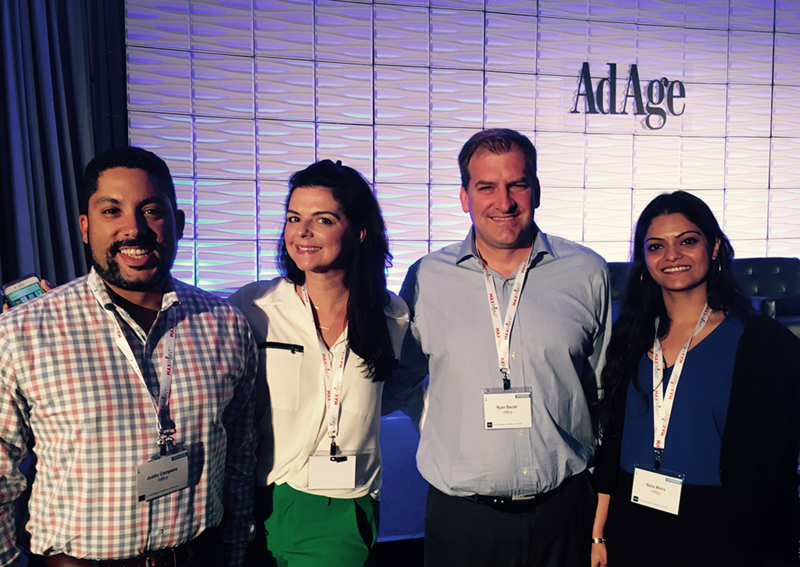 We can’t wait to see where Ad Age Small Agency goes to next! If we missed you at the event or you would like to learn more about MBuy’s agency partnership success stories, click here.